A Grain of Sand is the new initiative of Chris Hines MBE. 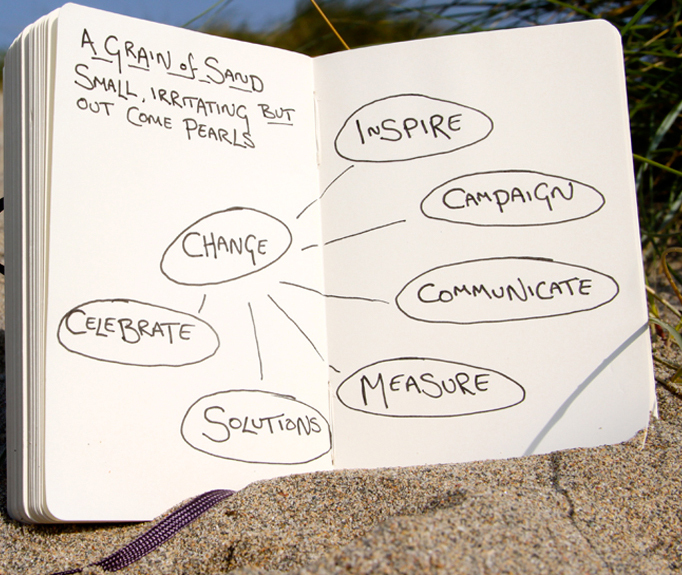 The organisation works to help inspire, catalyse and drive positive change in a range of areas. With a strong proven track record in campaigning and communications, sustainability and environmentalism, we focus on: positive solutions to problems, creating the environment and agenda for change, and making a difference to the world in which we all live. We have boiled down our experiences into several key aspects: Inspire, Campaign, Communicate, Measure, Solutions and Celebrate. We can be engaged in any combination of these major themes. Click on these elements on to find out more.